← Happy Birthday Uncle Hip-hop! I have to be clear to all my readers, you 3 know who you are, that it’s been a rough ride these past months. I’m in a bunker below the earth with terrible WiFi and haven’t been able to be as current with my events as I’d like. 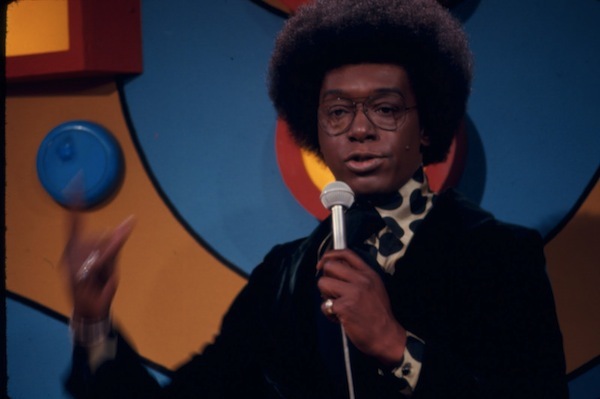 Therefore you can imagine when word reached my ears that Uncle Don Cornelius had died on February 1st from an apparent suicide, not being able to write about it that day was like having my fingers chopped off. Another missed opportunity on my part. I was so bummed to miss that event, (being all the way on the other side of the country in AZ). I did however, do a disco twirl around my living room in his memory while watching a rerun of Saturday Night Fever. Dig. Ah! John T…before the fall. This entry was posted in Uncategorized and tagged Don Cornelius, Don Cornelius tribute, Flash Mob Times Square Soul Train, Soul Train Flash Mob, Soul Train tribute. Bookmark the permalink.